This is our third time working for this couple in Wayne. 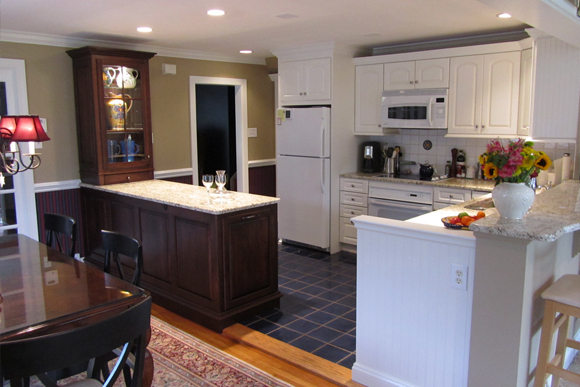 In 2003 we removed the rear walls of the kitchen and dining room and added a Gathering Room. In 2007 we removed half of the roof and added a third floor master suite. 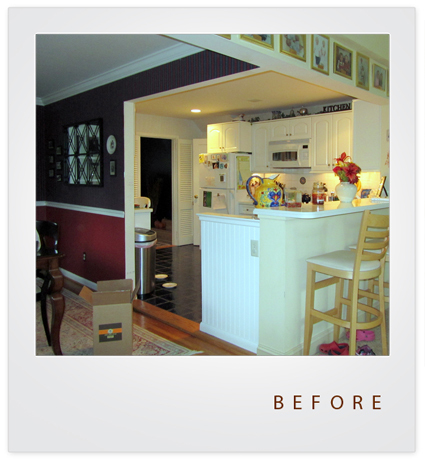 The main objective of this project; to open the kitchen and dining room by removing the wall that separated them. The peninsula that replaced the wall needed to deal with the trash and provide a place to deal with the mail, invitations, reminders, schedules, the things that typically end up laying on the counter. 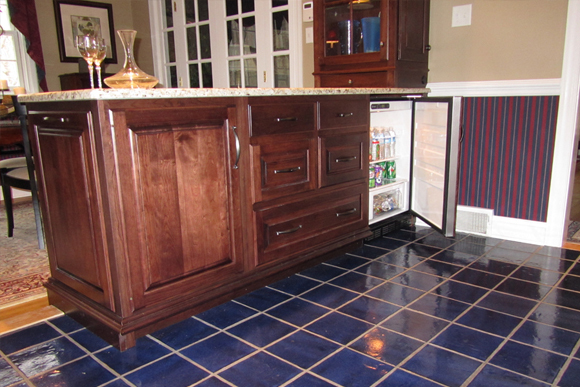 They were also looking for a beverage fridge to supplement the relatively small fridge in the existing kitchen. 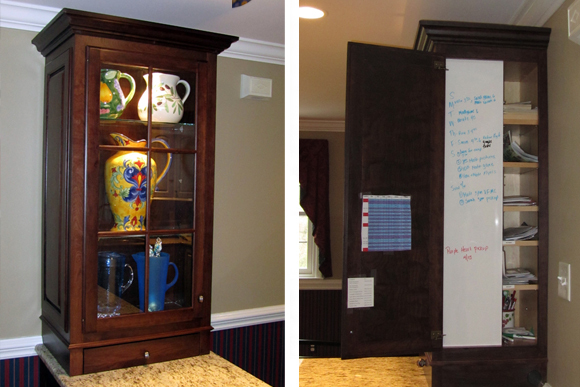 I suggested a wall cabinet that would help anchor the peninsula, give a focal point when viewed from the gathering room, and hide a small “command center” to deal with the mail. 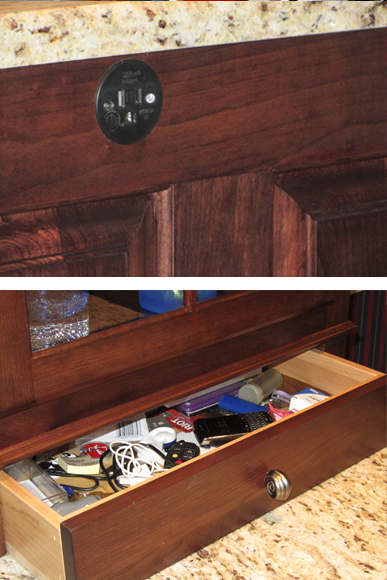 What looks like an ordinary junk drawer has an added feature, note the charging cell phone. We installed an outlet behind the drawer to allow charging of phones and cameras with out the clutter of cords all over the counter. Speaking of outlets, we found this wonderful, miniature outlet to use on the backside of the peninsula. 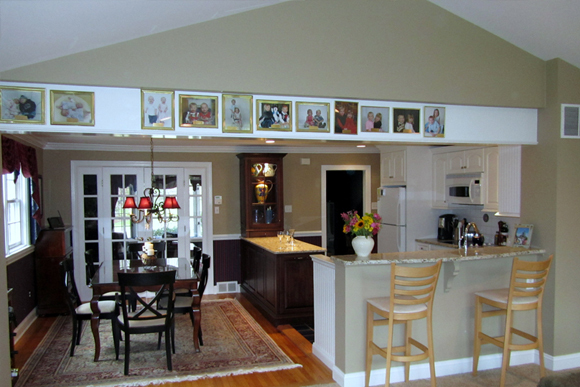 As part of the project we painted the Gathering Room, Dining Room and the Kitchen all the same color, Benjamin Moore, greenbrier beige, to create a more cohesive feel in what is now one beautiful open room where the family congregates. The Gathering room window as seen from the Kitchen. 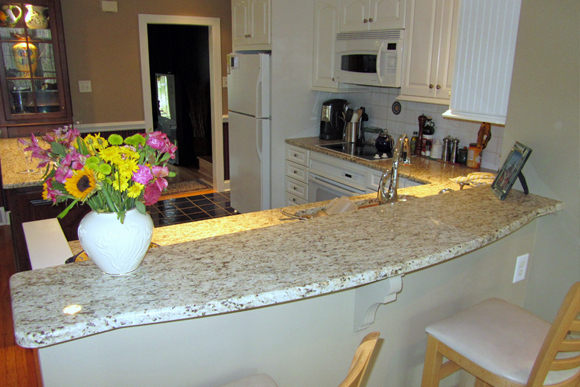 We replaced all the existing white Corian tops with granite, and added an arch to upgrade the bar top. 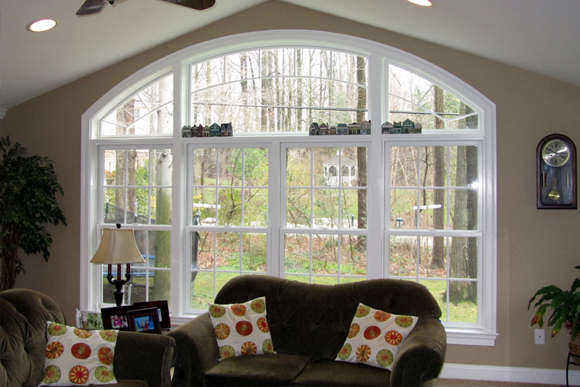 The arch only added about $60 to the cost and gives a much more elegant look.